The slowdown in housing can be blamed on a number of factors, and the bad news is they are all likely to get worse. The Commerce Department reported last month that single-family housing starts are below the levels they registered in the spring. Single-family permits, which measure how much construction is in the pipeline, fell to their lowest level in a year. Other housing measures, including existing and new home sales, have also been slowing in recent months. The reasons for the weakness are clear. Mortgage rates are near seven-year highs and rising prices are cutting into affordability. A tight labor market and steep construction material prices are raising builders’ costs. The new tax law’s limit on deductions for mortgage interest and state and local taxes makes owning a home less enticing in a number of states. But if those things are headwinds for the housing market now, they could become even stiffer later. With the Federal Reserve on course to raise rates once more this year and maybe three more times next year, long-term rates are on the rise. 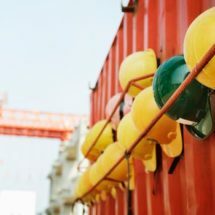 A strong economy will likely keep driving unemployment lower, making the shortage of construction workers even more intense. For home buyers, the consequences of the tax-law changes may not have fully sunk in yet. Housing’s recovery after the financial crisis has been much weaker than anyone hoped for. The risk now is that it has been cut short.